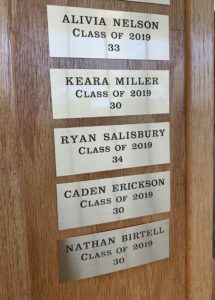 Congratulations to Ryan Salisbury, Alivia Nelson, Keara Miller, Caden Erickson and Nathan Birtell , all class of 2019, for their impressive achievements on the ACT test! All these students scored a 30 or higher on their ACT test. 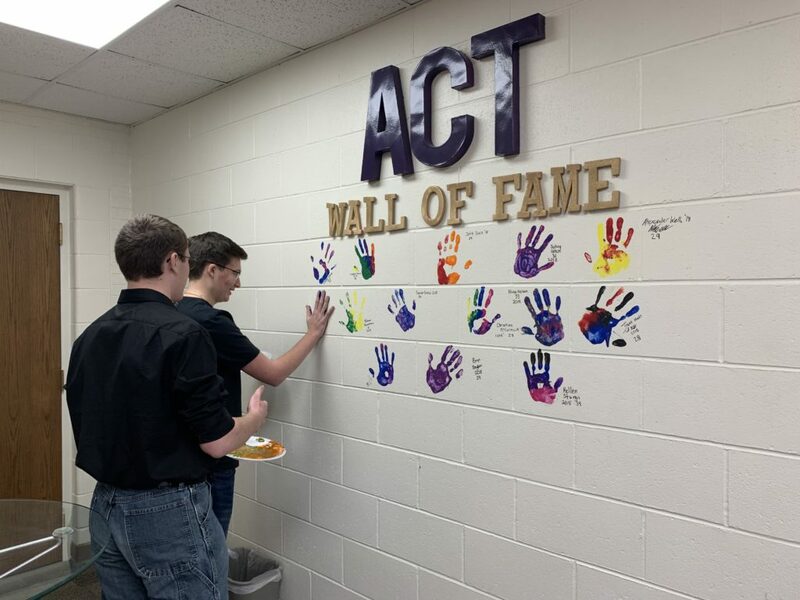 A 28 or higher gets your hand print on the ACT Wall of Fame in Mrs. Pearson’s math room and a score of 30 or higher gets you a brass plaque posted on the column in the commons area of the high school. These students all qualified for both distinctions. Nathan Birtell and Ryan Salisbury add their hand prints to the Wall of Fame in Mrs. Pearson’s room.